At execshirts we offer a wide array of different colored (coloured) fabric for a custom dress shirt. 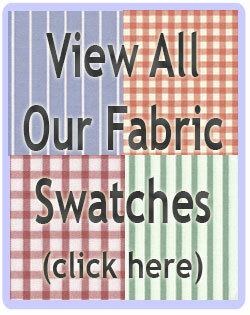 Below is a brief description on the fabrics we use. One of the most popular fabrics for a dress shirt is an Oxford cloth. Oxford cloth is a soft elevated woven pattern, it is a heavier cloth which gives it good durability. An Oxford dress shirt can be worn in both formal and casual situations. We offer Oxford shirts in both Cotton/Poly mix and 100% Cotton. A very popular fabric used in dress shirts is Pinpoint cloth. To be more accurate, it would really be called Pinpoint Oxford, but people call it Pinpoint for short. Pinpoint is lighter and smoother than a plain Oxford. Pinpoint is a fine cloth and a custom dress shirt made with Pinpoint is lighter than a traditional Oxford. We have Pinpoint fabric starting with a Cotton/Poly blend all the way up to Egyptian Cotton. Another fabric that is lightweight is regular Broadcloth. Broadcloth has a very smooth finish and does not have any patterns in the material. Broadcloth is the same quality and has the same weight as Pinpoint, but has a smoother finish. Broadcloth is very suitable cloth for a Custom Dress Shirt. The most exclusive Cotton that we sell, grown in Egypt and milled to be extremely soft. Egyptian Cotton shirts can be made in Oxford, Pinpoint, or Broadcloth. The weave of this Cotton is very tight and the finish is superb, you can tell the difference with a shirt made from Egyptian Cotton. A regular Twill fabric is a very lightweight fabric that is very smooth to the touch, it is lighter weight than Oxford or Broadcloth. Another Twill fabric is a Woven Twill, A Woven Twill fabric is heavier than Pinpoint or Broadcloth, and usually has a slight pattern. Our Twill fabrics have a high cotton content and are the same quality as our Pinpoint cloth. Twill is suitable for casual dress shirts or formal dress shirts. If you want dress shirts that have a luxurious feel to them, then a woven fabric maybe just for you. Woven fabric is thicker and heavier than other fabrics. The pattern of the weave is noticeable to the naked eye. We usually have woven Twills, Herringbones, and other assorted deluxe dress shirt fabrics. If you want a custom dress shirt that is tightly woven with a fine ribbed effect, try using Herringbone Broadcloth. Shirts made with Herringbone Broadcloth fabric are considered fancier than those in the Oxford family of fabric. A Herringbone Broadcloth fabric is heavier than Pinpoint and Oxford. In the photo of the fabric, notice how tight the ribbed effect is. If the ribbed effect is very tight, the heavier the cloth will be. At execshirts we can use fabric that is either 100% Cotton, 80/20 or 60/40 Cotton/Polyester blend. Some people say they wouldn't make a custom dress shirt with a cotton/poly blend, but we disagree, we have some great fabrics that are cotton/poly blend. Shirts made with a cotton/poly blend are called "wrinkle resistant". Other people like the "already worn" look that you get from a shirt made with 100% Cotton. We also have more expensive fabrics that are even superior to our normal fabrics, and those are labeled as "Deluxe". Of course in addition to that we offer an array of Egyptian Cotton Dress Shirts. When choosing fabrics for your custom dress shirts the finish is critical. The better the finish of the fabric, the better the quality of the dress shirt. Our tailor personally approves the finish on all the fabrics we use and you will notice this when your shirts arrive. Some companies try to impress you with thread count when selling dress shirts. The higher the thread count (e.g. 140's) the softer the fabric. But you can have fabric that has a high thread count and your dress shirt will still be poor quality because the finish is poor. At execshirts our tailor ensures that the finish is excellent, and we inform you the fabric family. This way you can choose shirts knowing how light or soft the fabric will be and you can feel safe knowing that our Tailor has approved the finish, so you get a quality dress shirt that meets your sense of style and comfort.